stronger academically and more helpful. In case you haven’t noticed it’s here again. COLD WEATHER! 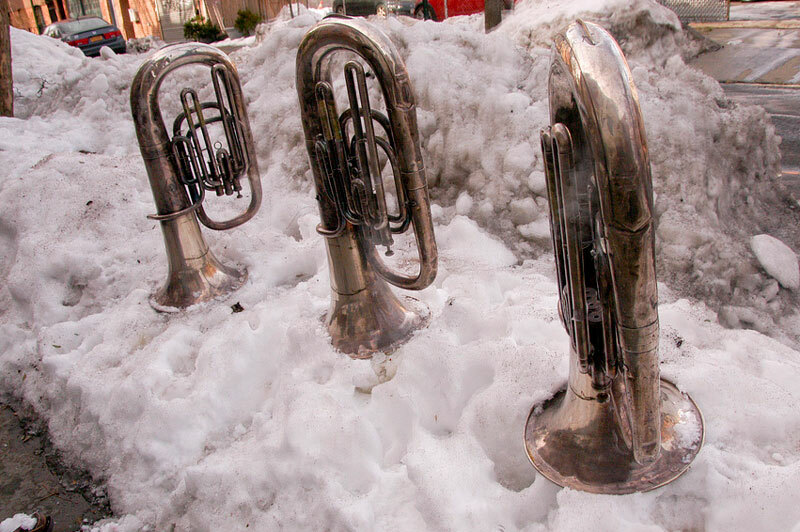 Just a reminder that leaving your instrument out in the cold weather can lead to serious repair problems. Especially with woodwind instruments like wooden clarinets, oboes, bassoons and more. If the temperature gets too low it can actually freeze the moisture in the wood and cause it to crack. When a cold instrument is taken inside it should not be put together and played right away. A rapid rise in the temperature can cause the wood to crack also. It needs to acclimate to the inside temperature. The body on the instrument should be held in your hands and blow some warm air through the bore for a few minutes before putting it together to play. Like we mentioned this time last year, string instruments are subject to the same conditions. Cold freezing temperatures can cause the wood to crack and also cause the seams where they are glued together to come apart. Just like the woodwind instruments when taken inside after being out in the cold they need a few minutes to acclimate to the inside temperature before being played. Also……….In case you haven’t noticed something else is almost here again. CONTEST SEASON! Now that marching band is behind us and all the Holiday Concerts are all scheduled it’s time to remember that contest season starts up in January. So getting your instrument in before time and having it in top playing condition can lead to a more successful and less stressful contest season. Playing an instrument as a kid leads to a sharper mind in old age, according to a new study conducted by Brenda Hanna-Pladdy, a clinical neuropsychologist in Emory’s Department of neurology, and her colleagues. The researchers gave 70 people between the ages of 60 and 83 a battery of tests to measure memory and other cognitive abilities. The researchers found that those who had played an instrument for a decade or longer scored significantly higher on the tests than those with no musical background. ~ Quoted in Diane Cole, “Your Aging Brain Will Be in Better Shape If You’ve Taken Music Lessons,” National Geographic, January 3, 2014. Music therapy has been found to reduce psychological stress in a study of 236 pregnant women. 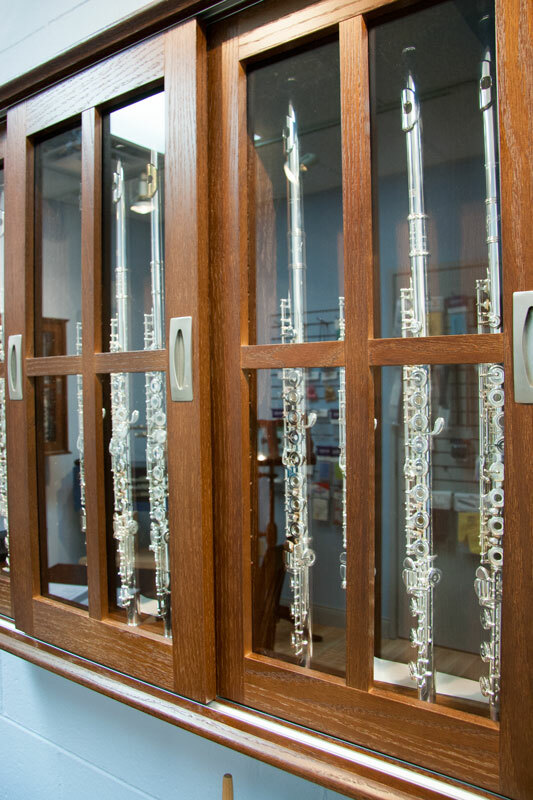 Does the thought of shopping for a better flute for your student make your head spin? If you have ever looked in a music store or online, you may have noticed that there are so many different brands, models, and options available for flute players who are looking to take their playing and instrument to the next level. Thankfully, Paige’s Music has its very own flute shop, equipped with a specialist who is well-versed in all things flute. With an experienced flute player on staff, you can trust that your questions will be answered by someone who’s been there. 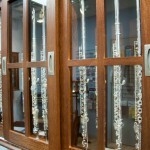 All of their flutes are play tested before being sold and adjustments are made if necessary. So you can be sure that the flute you buy will play just as well as it did in the workshop. 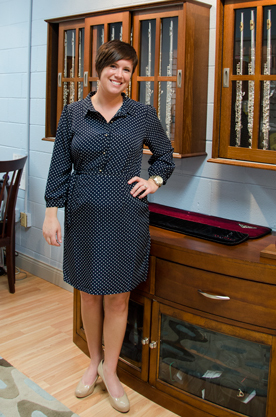 Also, they are backed by Indiana’s premier repair facility, the Paige’s Music repair shop. This allows them to offer the highest level of repair and maintenance for your flute or piccolo. 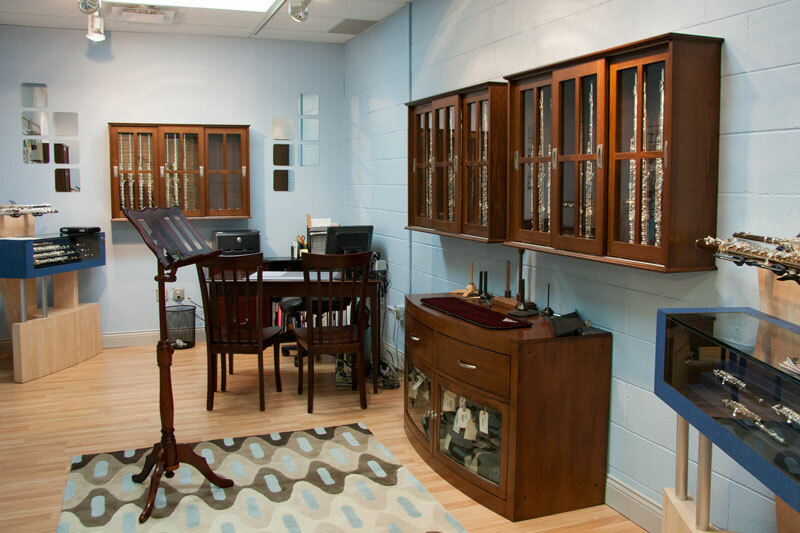 We would like to personally invite you to stop by the showroom and experience the Indy Flute Shop for yourself. They are committed to helping each flute player that walks through the door reach their true musical potential by fitting them with an instrument that meets their needs. My name is Erin Barnett Nichols, and I am the manager of the Indy Flute Shop at Paige’s Music. I am a proud Indiana native: I’m a graduate of Lafayette Jefferson High School, I have a Bachelor’s degree in Psychology from the University of Evansville, and I received my Masters degree in Music from Butler University. I am so excited to bring my background with playing and teaching the flute to the success of the Flute Shop. Buying or upgrading an instrument is a big decision, and I know it is not always an easy one. My goal at the Flute Shop is to make your experience with purchasing a new flute a fun and enjoyable one. Please feel free to give me a call or an email, or stop in during our store hours listed at the top of the page. Bring your questions, your favorite pieces, and let me help you make beautiful music!